You're probably thinking... crikey a new blog post from Han? Been a while... All I can do is apologise for this. Personally, this year has been running away with me. I've finished my second year of university, started a music magazine with my peers at university and now have been told I have a brand new job for the summer! (woop, yay, huzzar!) Recently my passion for blogging has been niggling back to me and I have been so excited to share this look with you. I was recently reading a post by Zoe London, where she talked about a blogger drama that exploded on twitter last week about instagram fakes (to sum it up larger bloggers faking it and gaining campaigns). Briefly she mentioned about how a lot of bloggers are following a style. You'll have seen it all over your feed no doubt, white wash buildings (probably chelsea or kensington), and fashion looks that look the same and are guaranteed to get likes. 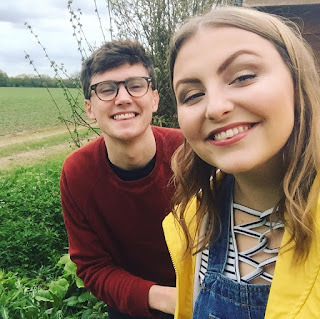 I find this particularly frustrating, I'm not saying I'm crazy original - let's be real stripey tops and dungarees are bae - but I love the seeing bloggers with their own personal style and... well... originality. Just some food for thought. 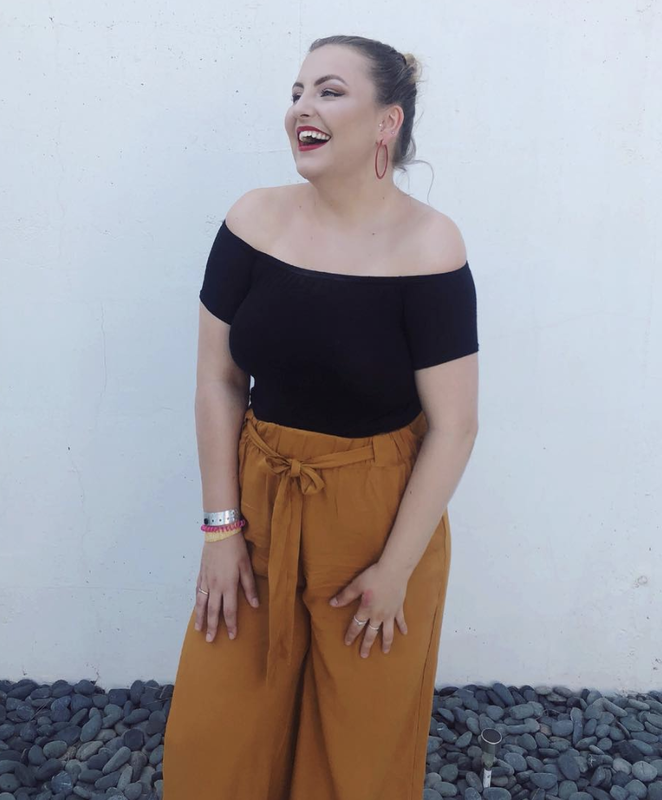 ANYHOO... Let's talk about Primark Spring fashion. I am very easily persuaded to splash out on Primark and I'm never disappointed. Every item of clothing I am wearing in the blog post is from primark, which I may have bought at the same time among with other items... err.... oops? The only thing I'm wearing which isn't from primark are my Vans, which I got for my birthday last year (very surprised that they haven't ventured onto my blog already as I've been wearing them to death). Starting with the star of the show, this BEAUTIFUL yellow raincoat cost only £15. I have to give a shout out to my friend Annika for this one. She works in Primark in London and when she saw this coat, she said I would love it - I'm not surprised I did. If you're a frequent reader/social media stalker, you will know that this is not the first yellow coat I own. *see previous blog here* I find yellow is such a happy and positive colour and when I wear it, It really does cheer me up/put me in a good mood. Something to note about this coat (lol), Is that I'm a size 10 and I bought it in a size 14. They only had size 14,16 left in the London store I went into, but considering that I'm going to want to wear jumpers underneath it when I go to the seaside, sizing up worked for me anyway. ^ This is what happens when you're trying to take pictures for your blog and your boyfriend is distracting/laughing at you in the window. In retrospect, I probably shouldn't leave this in the post. But I'm going to anyway. NEXT UP PRETTY DUNGAREE DRESS. Now I had a dungaree dress from boohoo, which I sold on eBay as it was just... embarrassing short on the booty. This dress is so well fitted and 100% true to size, they also have it in black and khaki and is an absolute steal at £12. My next mission is to find a pair of full length dungarees, as although they may exaggerate my shortness (5ft 3), they're super cute and I want to look like a 90s girl. I was spinning in this picture... that's why I look a bit odd. Last but not least, this delightful stripey cross over top. Stripey tops are a necessity for me and I buy them on a regular basis. This one cost a whopping £6, It's stretchy and figure hugging, but breathable material. It was a no-brainer for me, as it's a style I will always pick up from my closet for jeans, dungarees, skirt etc. That's the end chaps! Super happy to be posting again on www.hannahjanewilliams.co.uk. This day was wonderful as me and my boyfriend George went to the beach with my parents, then bowling, then watched doctor who THEN had mexican food. Perfect right?! I also found out at the beach that I got a new job. Overall I am a very happy, very yellow, Han.